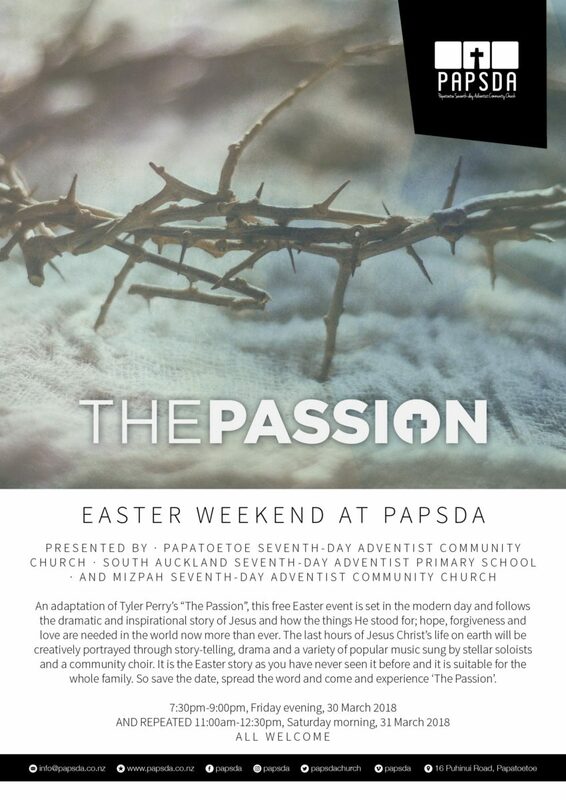 In association with the Papatoetoe Seventh-day Adventist Church and the Mizpah Seventh-day Adventist Church, collectively we are gearing up for an epic musical over this coming Easter Weekend. A number of our students will be playing an active part in this event. We trust that you are able to support their learning experience on either date below.